The Manx GP kicks off this weekend and there’s quite an Irish interest in it this year. Many are newcomers to the event but, not to the track having spent many hours studying the 37-mile circuit as well as taking instruction from ex-racers and local travelling marshals. Here’s a brief overview on those that are on Team Kells. 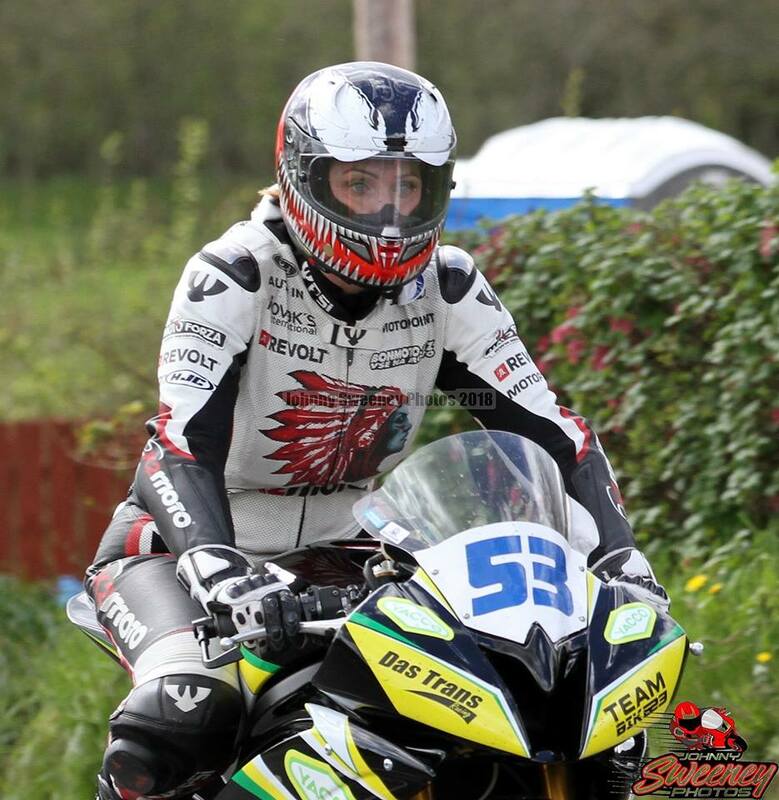 Currently races the Irish Nationals and has had strong finishes and wins this year in Faugheen. Competes on a Supertwin on the National circuits. Local tracks are Skerries and Killalane. Barry Sheehan has won many battles this year and should go well at the Manx. A win at his nearest track in Faugheen and Walderstown earlier this year will only increase his hunger for results at the Isle of Man. Veronika Hankocyova – Brno, Czech Republic. Having tackled almost every road circuit across Europe at this stage, Veronika turns her attention to the famous ManxGP. Riding a Supertwin also in the Junior Manx GP. A well-known face from the Irish Roads paddock James has entered the Manx GP on his Kawasaki Supersport bike and will also pilot a Paton in the Twins\Lightweight races. A Supertwin veteran on the Short Circuits, Dave will be competing in the Lightweight Manx. He will also race the ZX6r in the Junior and Senior GP. This will be Dave’s second International this year having raced at Chimay in a sidecar last month. Thomas Maxwell has had an exceptional year on the Irish Roads this season on the Supersport and Superbike. Hopefully his run of good form continues over the fortnight on the island. Fallon adds an R6 to his arensal this year and has scored points in almost every meeting entered. Skerries and Killalane regular will be racing his own machine at the Manx in the Twins race as well as the Junior and Senior GP. Another Junior Manx GP entrant is Damian Horan on the GSXR Suzuki exchanging the 600 engine for the 750 for the Senior race.